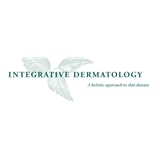 Integrative Dermatology (Newton) - Book Appointment Online! In order for us to process your appointment, home address is required. You may enter that in the notes section. Thank you. Integrative Dermatology combines the best of conventional dermatology with some of the more holistic options of an alternative approach. For the patient whose skin condition is resistant to conventional therapies or for the patient who prefers to limit exposure to pharmaceuticals, a focus on nutrition, environment and lifestyle can be useful. I really liked her bedside manner.